Case study: "lame à la Montmorency"
Historically, this blade style has a quite extraordinary story. I first began to be used by the Montmorency's Dragons during the 1710's. It was a custom order from the Count Choiseul de Beaune, then in charge of these Dragons, and was made at the Royal Manufacture of Klingenthal, just created. For a while, it stayed quite obscure, but by the 1780's, this kind of blade just began to flourish, for civilians and military alike, sometimes even replacing the regulation blades. It was one of the most common type of blade during the french Revolution (starting in 1789), equipping crude war-time production, until everything got settled properly, around the revolutionnary years IX and XI (1801-1803). It was already the start of Napoleon's career. The Montmorency blade style didn't become a regulation pattern then. But in 1822, there was a new reform, and it was decided to put an end to the extreme diversity of weaponry, and to make only a few patterns for multiple kind of regiments. That's how the 1822 light cavalry saber was created, but also the 1822 line cavalry saber (called "Bancal", which is an old french word for curved, as line cavalry traditionnaly used straight blades; the saber itself is a bit longer, a bit stiffer, and most of all has a four bars hilts, while the light cavarly model has a three bars hilt). With the advent of both these patterns, the Montmorency blade style became predominant. I've always considered Montmenrcy blade quite wierd, with their partial fuller, and it was a mystery to me how such an obscure blade could have become in one century the most widespread and only regulation type for the cavalry, still in use today. I considered it was a whim, such as the 1831 infantry gladius, that was both too short and too heavy, and that many soldiers were finally selling for food, tobacco or such. But the 1822 was appreciated. I was puzzled. Until I read a phrase mentionning the fuller was in the forte of the blade. A lightbulb just switched on in my brain. A conventionnal blade (of the time), with only a "pan creux" (hollow side), has only the rigidity given by the edge where the hollow meets the spine, while with a Montmorency blade, there are two stiffening edges: one where the hollow meets the fuller, and one where the fuller meets the spine. At the cost of only a few extra material and weight, the blade is stiffened and renforced in the part that takes the most stress in combat! Sometimes, we just aren't bright enough to understand the engineering genious there is behind some traditionnal designs we don't understand yet. Field exeprience, either military or civilian, is extremely valuable, and we should never overlook something that has been around for over a century. Edited 1 time(s). Last edit at 05/11/2013 02:39AM by Madnumforce. Re: Case study: "lame à la Montmorency"
Well I think it's basically the same problem as with I beam flexion. Most of the stress will concentrate on extremities (top and bottom). Compression on top, traction on bottom. The fullers are meant to lighten the blade. The blade ("vertical" width will like act as an arm lever for efforts. So it makes sense to have the blade wide and have thick extremities. I guess the general logic would be something like. =>Let's make top slab thicker. =>Let's counterbalance the added weight with another fuller. Thanks Madnumforce for sharing. An interesting article. The thing you describe is called a rib or strengthening rib. It is used to make a design constructively lighter without it weakens to much, or, make a design stronger without adding to much weight. Actually, the I beam as described above is stronger and can bridge a longer distance then a fully square beam, who would start to bow under its own weight if made to long. 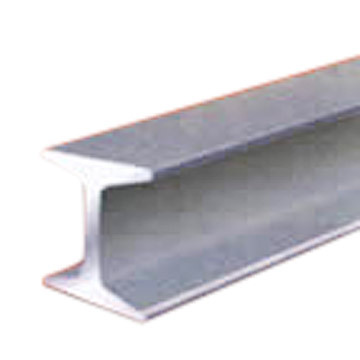 Nowadays ribs are used in almost any construction or design. Buildings, furniture whatever you can think of. You must have plenty examples in your house. You can find them as well in older straight razors and bigger knives. Some people had the impression that it was a 'blood slit' mentioned to let the blood spray out more easy after stabbing. Something that would be not the case though. I agree completely with the last sentence where you describe the value of looking to old designs to see how they solved issues in those times and why. That is not the same as saying that old designs or techniques are always better than new designs though. Using modern techniques could easily improve the design from such sable in all perspectives. Edited 1 time(s). Last edit at 05/11/2013 04:21AM by JBN. Of course it's the same principle. The good idea with the Montmorency blade is to have a stiffened/strengthen blade only in the forte, as it's also heavier (compared to a conventionnal hollow side grind). In comparison, for exemple, the model 1845 infantry NCO saber has both a full lenght hollow side, and a full length fuller (but the blade is also shorter and thinner). And the An XI light cavalry saber (typical of the napoleonic era) has no fuller at all. For the Cuirassiers (they used straight blade sabers), the model An IX didn't even have hollow sides (full flat grind, we would say today), but the An XI model is an improvement, as it has two hollow sides (which makes a central edge/ridge). The introduction in 1822 of the Montmorency blade on the regulation sabers, both for the light and heavy/line cavalry, is quite noticeable. Do you have more pictures of these sable types for comparison? I could, but right now I have to go working. I'll scan my documentation when I come back. This is great info Mad. I am very interested in the French sabre & cutlass designs, although I would like to see one converted into a wood processing tool. I believe you have disagreed with this notion in the past. Just as a reminder, the revolutionnary year 9 (An IX) is 1800-1801. You can see the variety of hilt and blade styles there is in less than a quarter of a century (but what a quarter!). But one of the most common feature of the sabers of that era is the grip: a wood core (often beech), with a cord wrapping, then a glued layer of leather, and a brass filigree. It's quite simple to do, and it gives a grip you wouldn't imagine: it almost hurts the hand! Edited 2 time(s). Last edit at 05/11/2013 06:12PM by Madnumforce.